Anne Saunders was born Anna Mary Finnell in the tiny town of Forest, New York, on May 23, 1927, on the verge of The Great Depression. She changed her name from Anna to Anne after the boys in school embarrassed her with taunts of “Anna Banana”. She spent more than a year in bed with rheumatic fever when she was eleven years old, which left her with a severe heart murmur. Anne credited her survival to her mother Clayda’s loving constant care, the gifted hands of a Chateaugay Iroquois healer and the fifteen dollars it cost to get her tonsils electively removed to earn a trip to Plattsburgh the year before. She was immensely proud when told by her father (as an intended insult) that her great grandmother was of Native American heritage. When she was fifteen she left home to finish high school in Altona, New York, as a nanny and housekeeper for the school principal’s family. After graduation she worked for a summer at The Lake Placid Lodge, and although encouraged to apply to Cornell University, was unable to find the funds to further her education. Her common sense, perseverance and hard work served her well throughout the course of her gypsy life. Over the years she traveled the country and lived in New York, Vermont, Colorado, New Hampshire, Maine, North Carolina, South Carolina, Wyoming, Florida and Arizona. An avid thrift store shopper, cruise passenger and casino devotee, Anne even traveled to England aboard the Queen Elizabeth 2. She was a mother to four children, a hotel and restaurant manager, pizza shop owner and caregiver who lived life on her own terms. Anne was predeceased by her two older brothers, Everett and Jimmy, an assortment of less than exceptional husbands, many loving pets, and in 1968, by her kind and gentle son Darrell. She leaves behind a daughter and granddaughter in California (Moira and Ring McDonough), a son and daughter-in-law in North Carolina (Christopher and Michele Holroyd) and her family connected to the Ithaca area, daughter and son-in-law Kathleen and Mark Patton of Dryden and grandchildren Shannon McCoy and Nicholas Isaacs of Boulder, Colorado. 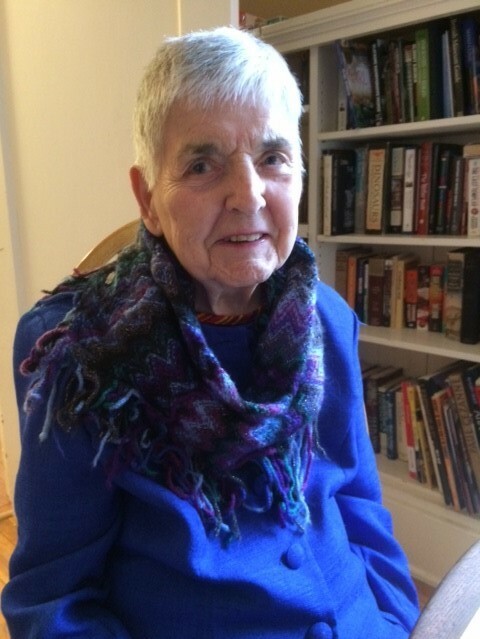 Anne would want us to thank Woodsedge Apartments, Caregivers, Longview, Groton Community Healthcare Center and Hospicare for their kindness, friendship and exquisite care. The family is also grateful to Greensprings Natural Cemetery and Lansing Funeral Home for their compassionate support, as well as to our friends at Bridges Cornell Heights for their help and guidance over the past five years. A memorial service will be held in October at Greensprings where Anne will be laid to rest under a sacred white pine tree. If you would like to honor her in some way, please adopt and love a shelter pet, donate generously to St. Jude’s Children’s Hospital or just enjoy your favorite ice cream sundae.